Ian Horrocks FRS is professor in the Oxford University Department of Computer Science, a visiting professor in the Department of Informatics at the University of Oslo and Scientific Director of the SIRIUS Centre. His research interests include logic-based knowledge representation and reasoning and semantic technologies, with a particular focus on ontology languages and applications. He was an author of the OIL, DAML+OIL, and OWL ontology language standards, chaired the W3C working group that standardised OWL 2, and developed many of the algorithms, optimisation techniques and reasoning systems that underpin OWL applications. He has participated in numerous national and international research projects, and was Scientific Director of the FP7 IP Optique project, which deployed semantic technologies in the Oil & Gas and Power Generation industries. He is a Fellow of the Royal Society, a member of Academia Europaea, a Fellow of the European Association for Artificial Intelligence and a Fellow of the British Computer Society. He has published more than 200 papers in major international conferences and journals, winning best paper prizes at KR’98, AAAI-2010, and IJCAI-2017, and a test of time award at ISWC-2013. 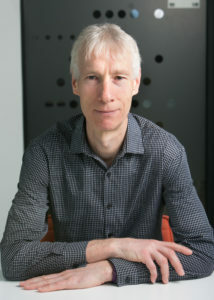 He is one of the UK’s most highly cited computer scientists, with more than 48,000 citations, and an h-index of 91.